Every shirt is made to order and specially created for you by Printful in either Los Angeles, CA or Charlotte, NC; it’s printed direct to garment (DTG) using high quality eco-friendly inks that are CPSIA-compliant, non-toxic, non-hazardous and soluble in water. They’re free from heavy metals, formaldehyde, and Alkylphenol Ethoxylates (APE). Designed and printed in America. 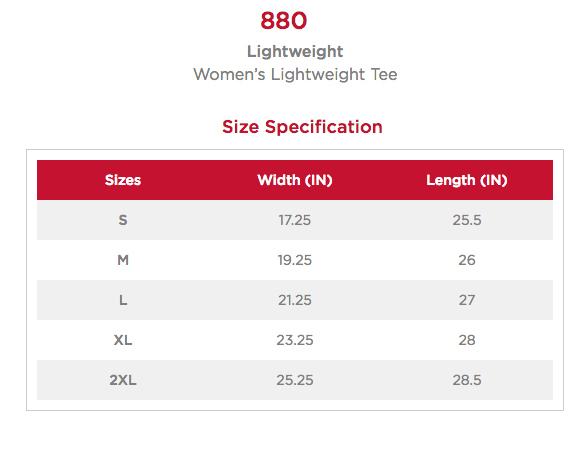 The women’s t-shirt is an Anvil 880 Ladies Ringspun. It’s made of 100% combed ring-spun cotton, except for heather grey (contains 10% polyester), dark heather grey (65% polyester), heather green (65% polyester), and heather blue (65% polyester) that’s soft to the touch and high quality with double-needle stitched sleeves and bottom hem. The fabric is thin enough to be comfortable yet thick enough not to be see through (though maybe not white). It’s true to size in my opinion. To see how the shirt looks on a person check out “This Story Ends in Glory” I’m a size 14 wearing a large in this photo. 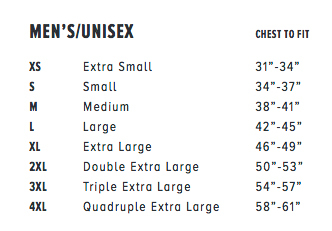 PLEASE MEASURE YOURSELF WITH THE SIZE CHART AND ORDER THE CORRECT SIZE. The unisex shirt is a Bella + Canvas 3001 Unisex. It’s 100% ring-spun cotton (Heather colors are 52% combed and ring-spun cotton/48% polyester. Athletic and Black Heather are 90% combed and ring-spun cotton/10% polyester. Ash color is 99% Airlume combed and ring-spun cotton and 1% poly). It’s really soft to the touch and high quality with double-needle stitched sleeves and bottom hem. The fabric is thin enough to be comfortable yet thick enough not to be see through. This shirt looks great on women too; I suggest ordering 1-2 sizes down. Medium fits me well (size 14). To see how the shirt looks on a person check out “If It Hurts It’s Not Love” – I’m wearing a medium in that photo. Marcus Lemonis is one of my favorite entrepreneurs and I love his saying, “Trust the process” because you can apply it to pretty much anything in life, not just business. I like to use it spiritually, on tough days when it’s hard being on this planet. I remind myself to trust the process and remember that transformation takes time and that we’re on a timeline set by Mother and Father God and it helps me deal with everything we’re going through. My intention with every message I create is to uplift, inspire and make you feel good when you wear my shirts. We all need more positivity and cheer in our lives and with every design I can contribute a piece of my loving energy to you. We are all Lightworkers in some way but you are a conscious Lightworker if you: do your best to choose love in every situation, are kind as much as possible every day and hold love and light in your heart as much as possible. And as with all of my shirts, the message is intended to energize not only the wearer, but the observer too so when people read your shirt they may (if they choose to) feel the energy of the message also. Lightworker Lifestyle tshirts are great gifts for the Lightworker, spiritual person or anyone in your life to celebrate any occasion including birthdays, mother’s day, father’s day, spiritual rituals, anniversaries, congratulations, get well soon and in general times when uplifting, inspiration or love is needed.